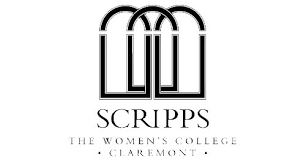 The mission of Scripps College is to educate women to develop their intellects and talents through active participation in a community of scholars so that as graduates they may contribute to society through public and private lives of leadership, service, integrity, and creativity.You'll see that Scripps is extraordinary for many reasons: not only is it one of the most beautiful campuses in the United States, it provides a superior liberal arts education for women within a larger university-style setting of four other undergraduate colleges (all coed and contiguous) and two graduate institutions. With the added attribute of being in Southern California, Scripps offers a distinctive and distinguished educational and co-curricular experience unmatched by any other college in the nation.Students who thrive at Scripps are women with independent and adventurous spirits, active and curious minds, and healthy appetites for both hard work and fun. They are part of a vigorous community of scholars who are dedicated to learning, teaching, researching, and creating together.